I have the best answer ever for icebreaker games: I was once a contestant on Wheel of Fortune. I know, I can’t believe it either. In September 2012, after two rounds of tryouts, I flew to LA and stepped onto the stage to try my hand at spinning the Wheel. My episode aired on November 21, 2012 all across America (a reality that still freaks me out if I think about it too long). I rarely spill this fact about myself when I first meet people (except in icebreaker games)…it seems self-centered, and I don’t want to be “that girl who talks constantly about being on Wheel of Fortune” (horror). But my friends like to tell this story on me when they introduce me to new people, and I’ve found that most people are genuinely interested. How did I get there? What were the tryouts like? What was the filming process like? Did I win? How much? I like talking about the Wheel, but I also wonder if there are people out there who’d like to know the answers or, even more likely, want to learn how to be a Wheel of Fortune contestant! 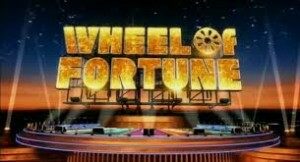 According to wheeloffortuneinfo.com, over a million people per year apply to be contestants, but only 600 make it on air. WOF has an online casting call that invites prospective players to send in videos of themselves and impress the producers with their wit and charm. They even provide guidelines of what to do and what not to do in your video. But that’s not how I did it. If you want to be on WOF, then I assume you’re a fan. For years (and just for fun), I DVR’ed each 6:30pm episode and beat the socks off the on-air contestants when I replayed it each night, sans commercials, after my kids went to bed. My husband told me I should absolutely be on WOF, but that’s obviously a long shot. I’m using this series of posts to tell you about my journey on WOF and tips I picked up along the way. I hope you enjoy! If you’d like to see my episode, you can view it here. I won’t tell you how it ends! That is so cool! I totally want to watch that! How fun!!! I’ve always wondered, “Who are these people and how do they get to do that?? ?” Looking forward to hearing more about it!